The PhotoMed/Canon SX740 Digital Dental Camera is specifically designed to allow you take all of the standard clinical views with "frame and focus" simplicity. Using the LCD display to precisely frame your subject, you simply focus and shoot. It's that easy. Proper exposure and balanced even lighting are assured. By using the camera's built-in flash, the amount of light necessary for a proper exposure is guaranteed and PhotoMed's custom closeup lighting attachment redirects the light from the camera's flash to create a balanced, even lighting across the field. 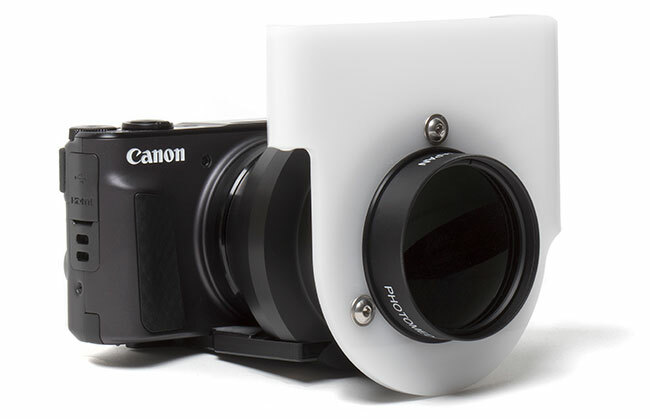 The SX740 system is a departure from the Canon G-series cameras we have offered for many years. The G16 was the last Canon point-and-shoot camera that included a bayonet accessory lens mount which allowed us to attach a macro lens and diffuser. Our talented engineers have created a new magnetic mounting system for the macro lens and diffuser (shown at right). Do you already own a Canon SX740 (or SX730) camera? 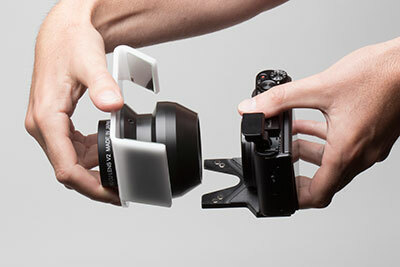 The PhotoMed Closeup Attachment Kit is also available separately to adapt your camera. The PhotoMed SX740 system includes everything you need: Canon SX740 camera, 8GB memory card, high quality macro lens, lighting attachment, memory card reader (for fast image transfer to the computer) and hard case. The camera is completely assembled, all proper menu choices are set, the memory card is formatted and sample images are taken to ensure everything is working properly. 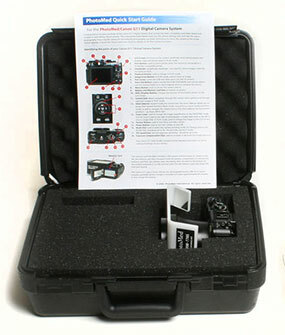 The SX740 camera system is ready to go out of the case. The complete system also includes unlimited telephone/email technical support and loan equipment support if anything ever needs repair (Continental U.S. only). Unlike other sources, we never charge for tech support or loan equipment (except shipping charges). Our technical experts have answers to all your digital questions. Call for more information. Stay informed on everything PhotoMed. We'll keep you posted on the latest products, specials, and dental meetings.